Preservation Houston’s trained docents are available to lead our acclaimed walking tours based on your schedule. Simply choose one of our tour topics below and let us know what date and time you prefer. We'll do our best to accommodate you based on our calendar and docent availability. The cost for private tours is $15 per person with a minimum group size of ten. Payment may be made by cash, check or major credit card at the time of the tour. Private tours should be booked at least two weeks in advance, and tour dates and times are subject to prior scheduled events and docent availability. Please note that we do not offer private tours during Thanksgiving week, between December 18 and January 8 or on major holidays. Private tours of Glenwood Cemetery are not offered in the week before Halloween. Please browse the list of available tours below, then complete a private tour request (click the button below to get started) and we will be in touch to finalize details for your tour. If you need suggestions on a tour topic, drop us a line and we'll be happy to help. This doesn't have to be a final count — it just helps us plan. Keep in mind that there is a minimum group size of 10 required. Thanks for your interest in a private tour! We will be in touch soon to discuss your request. Allen's Landing is sometimes called "Houston's Plymouth Rock," and with good reason: It is the spot where legend holds that the city's founders, Augustus and John Kirby Allen, set foot on the land that would become Houston. Allen's Landing became the original site of the Port of Houston in 1840 and for many years was the center of trade in the city. The site fell into decline through the 20th century, but is now finding new life as link in the system of parks being developed along Buffalo Bayou's banks. Our tour tells the history of Allen's Landing and looks at historic buildings nearby, including turn-of-the-century warehouses, a former neighborhood saloon with a checkered past and the restored Willow Street Pump Station, which was constructed as the centerpiece of Houston's first sewer system. Avondale, a residential neighborhood in what is now the Montrose area, was part of the first wave of Houston’s southwestern suburban expansion in the early years of the 20th century. Our tour explores the history of the neighborhood and the design of its homes, most of which date from the 1910s and ’20s. We discuss the design trends that influenced Avondale and the lives of some of its residents, who included leaders in finance, lumber, cotton and oil. As we do, we also learn about how the neighborhood changed over the years and the work that has been done to restore many of its outstanding historic homes. When Beth Israel Cemetery was established in 1844, Houston was still a frontier village — in fact, the cemetery was located well out of town on the San Felipe Road (now West Dallas Avenue). Over the years Houston has grown up around Beth Israel and many of its most prominent Jewish leaders have been laid to rest here, including merchant families the Levys, Meyers and Sakowitzes; philanthropist Ben Taub; and Rabbi Hyman Judah Schachtel, who led Congregation Beth Israel for 32 years. The tour tells the stories of their lives and deaths and includes a visit to the Temple of Rest, the 1935 Art Deco mausoleum designed by Joseph Finger (who is entombed inside). * Private tours of Beth Israel Cemetery may only be booked for Wednesdays and Sundays. Broadacres was among the residential neighborhoods developed near Rice University in the early 20th century. Its breathtaking oak allées and landscaping were the work of William Ward Watkin, the supervising architect of the Rice campus, and many of Houston's finest architects (John Staub, Birdsall Briscoe and Watkin among them) designed the houses that line North and South boulevards. The tour explores the architecture of these gracious homes and the stories of the oil, cotton, lumber, banking and railroad leaders who built them. When landscape architects Hare & Hare drew up plans for Houston's civic center in the late 1920s, they envisioned a group of stylistically similar Spanish-influenced buildings arranged around a public square. But those plans were derailed by the Depression, and the city's governmental and cultural center ended up developing over the next 50 years in a variety of styles with few efforts at overall planning. Today, structures in the Civic Center and the adjacent Theater District reflect not only the evolution of Houston's municipal and cultural institutions, but also changing architectural tastes. Highlights include Ralph Adams Cram's Julia Ideson Building of the Houston Public Library; Joseph Finger's Houston City Hall; Tranquillity Park, built to commemorate the 1969 moon landing; and Ulrich Franzen's 1968 Alley Theatre. As large as it is, Houston shares a feature with dozens of smaller towns across Texas: a courthouse square. Our tour explores the neighborhood that grew up around Courthouse Square beginning in the city's earliest days and includes the interesting and often amusing history of county government and stories of Quality Hill, the elite residential area that existed east and south of the square from the 1840s to the early 1900s. Some of downtown Houston's oldest buildings remain standing on the blocks surrounding the magnificent 1910 Harris County Courthouse, and on this tour, we discuss projects that have brought them new life — including the $50 million restoration of the courthouse itself. Courtlandt Place was designed as an enclave for Houston's elite, and it preserved its historic character even as nearby neighborhoods changed. The only remaining gated "private place" neighborhood in the Montrose area, Courtlandt contains homes designed by some of the foremost local architects of the early 20th century, including Birdsall Briscoe, Alfred C. Finn, John Staub and Sanguinet & Staats. Even Warren & Wetmore, the architects of Grand Central Terminal in New York, designed here. Our tour goes behind the gates to discuss the architecture of these lovely homes and the stories of the prominent Houstonians who built them. In the 1920s and 1930s, Houston was quickly transforming from a regional center into a city of national importance. As the city grew, many builders and architects embraced the modernistic style — bold, modern and elegant — as the ideal embodiment of Houston's new spirit. This tour includes the modernistic downtown buildings that are still standing (some beautifully restored, others forgotten gems) as well as lost architecture, which we explore using descriptions and historic photos. Circumstances permitting, the tour ends with a visit to the former Gulf Building (now the JPMorgan Chase & Co. Building), a 1929 masterpiece with some of the city's most magnificent Deco interiors. The section of downtown east of Main Street is a study in change. Early in Houston’s history, it was home to Quality Hill, the city’s most fashionable residential neighborhood. The area turned commercial after the turn of the 20th century thanks to an expanding business district and the construction of Union Station in 1911. Large-scale redevelopment projects including Houston Center and the George R. Brown Convention Center drastically altered the area in the late 1900s, and today, east downtown is an intriguing mix of small commercial buildings, early skyscrapers and gleaming modern office towers and hotels. This tour traces the history of the area through architecture old and new, ranging from historic structures such as Union Station and the 1915 Texas Company Building to new developments like Discovery Green, which has been a catalyst for nearly $2 billion in new construction. When the Binz Building opened in 1895, Houstonians flocked there to see what the world looked like from the top floor — six stories above the street. And although the city's skyline has changed a great deal since then, Houston's fascination with the skyscraper hasn't. 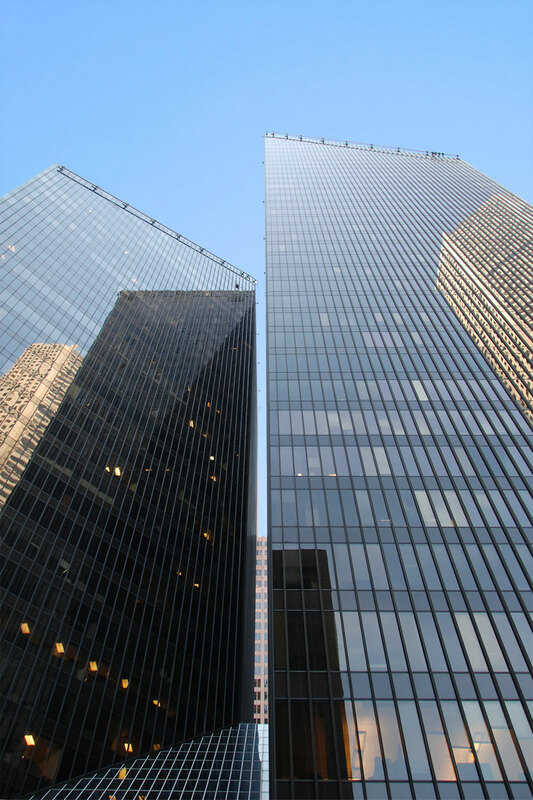 This tour explores the changes in downtown Houston's skyline during the past 100 years through buildings like 806 Main, the tallest building in town at 16 stories when it opened in 1910, and Philip Johnson's groundbreaking Pennzoil Place, which set the stage for the postmodern skyline of the 1980s. These buildings are a fascinating record of the city's growth, and we'll discuss the engineering, architectural and cultural changes that shaped them. Buffalo Bayou in downtown Houston was teeming with activity at the turn of the 20th century, from the wharves of the Port of Houston at Allen's Landing to the produce wholesalers, warehouses, breweries and factories that lined its banks. This tour looks at the bayou's crucial role in Houston's development and the remnants of some of the old development nearby, including what's left of the Houston Ice & Brewing Co., a major industrial concern in the early 1900s. The tour also includes stories about the city's little-known role in the Civil War and tales of Vinegar Hill, the area's notorious slum. The people buried at this beautiful cemetery shaped the history of Houston with deeds both large and small: Jesse Jones, the great businessman and philanthropist; Walter W. Fondren, one of the founders of Humble Oil (now ExxonMobil); John Henry Kirby, the lumber magnate; and Hugh Roy Cullen, oilman and benefactor of the University of Houston. Our tour visits their gravesites as well as those of less-known but equally interesting Houstonians such as Wade Irvin, who maintained a private zoo and is reputed to have owned the city's first automobile. We'll also visit a stone relief adaptation of Leonardo da Vinci’s Last Supper, believed to be one of the largest cemetery monuments in Texas, and the lovely Chapel of the Angels on the shore of Forest Park's lake. The tour also includes a self-guided visit to the Forest Park Abbey, which features a Tiffany stained glass window. Located in the shadow of the downtown skyscrapers, Founders Memorial Cemetery is one of the few physical links to the early days of Houston and Texas. The plot of land along the San Felipe Road (now West Dallas Avenue) began being used for burials shortly after Houston was founded in 1836, and among those who rest here are many veterans of the Texas Revolution, heroes of the Battle of San Jacinto and government officials of the Republic of Texas, including Henry Livingston Thompson, commodore of the Texas Navy; John Wharton, called the "keenest blade of San Jacinto"; and John Kirby Allen, one of Houston's founders. Our tour tells their stories, which are also the stories of Texas' beginnings, and also explores the history of this significant burial ground. Historic Glenwood Cemetery is more than just the resting place of some of Houston's most notable residents — it is also a sculpture garden of sorts, filled with examples of outstanding funeral art from the past century and a half. This tour traces the changing tastes and the varied social and personal motivations reflected in some of Glenwood's outstanding monuments, which range from elaborate Victorian obelisks and angels to crisp, modern compositions. Along the way, you'll learn about the symbolism and stories behind the monuments and will discuss the lives of Houstonians both famous and forgotten who commissioned them. The German poet and philosopher Von Goethe called architecture "frozen music." If so, Houston's magnum opus is the 1929 Gulf Building (now known as The Jones on Main). The Art Deco skyscraper's exterior is richly detailed in a modified Gothic style; inside, its public areas, including the three-story banking hall, are among the city's most magnificent. Our tour tells the story of the building's construction, engineering and architecture; Jones, the man who built it; and how Texas Commerce Bank saved the building against advice to demolish it in the mid-1980s. * Private tours of the Gulf Building may only be booked for weekdays. Located on rolling land near Buffalo Bayou with glorious trees and landscaping, as well as elaborate Victorian monuments and statuary, historic Glenwood Cemetery, established in 1871, is one of the most beautiful outdoor spaces in Houston. It is also the resting place of some of Houston's most significant early citizens, whose stories we learn on this tour. They include pioneer banker B.A. Shepherd; Charlotte Baldwin Allen, the wife of Houston co-founder Augustus Allen; grocer Henry Henke; and the colorfully named Decimus et Ultimus Barziza, a lawyer with a Civil War backstory that must be heard to be believed. The Heights was developed in 1892 as an independent city just northwest of downtown Houston. With more than 10,000 lots designated for residential, commercial and industrial development as well as utilities, schools and an electric streetcar line, the Heights was one of Texas' earliest planned communities. Today, it remains a fascinating historic neighborhood, from the grand Victorian homes along Heights Boulevard to the cottages and bungalows on the side streets. Our tour covers a section of the neighborhood, focusing on the evolution of residential architecture in the 20th century and fascinating stories about life in Houston in the early 1900s. This tour explores one of Houston's architectural gems: the Houston Public Library's Julia Ideson Building, which opened in 1926 as the city's central library. The Ideson was designed by Cram & Ferguson of Boston, the same firm responsible for the original buildings of the Rice University campus, with William Ward Watkin, who had come to Houston with the firm to supervise the early construction at Rice. The architects gave the library a Spanish Renaissance exterior complete with carved limestone, red tile roofs and decorative wrought iron, a design that was intended to be copied across a proposed (but never built) civic center. Many Houstonians pass by the Ideson Building every day, but few are aware of its architectural detail and its wonderful interiors, including a magnificent three-story rotunda, currently being restored to their 1920s splendor. * Private tours of the Ideson Building are not available on Fridays or Sundays. After Rice Institute and Hermann Park opened in the early 1910s, Houston's South End became an increasingly desirable neighborhood in which to live and work — and it remains one today. 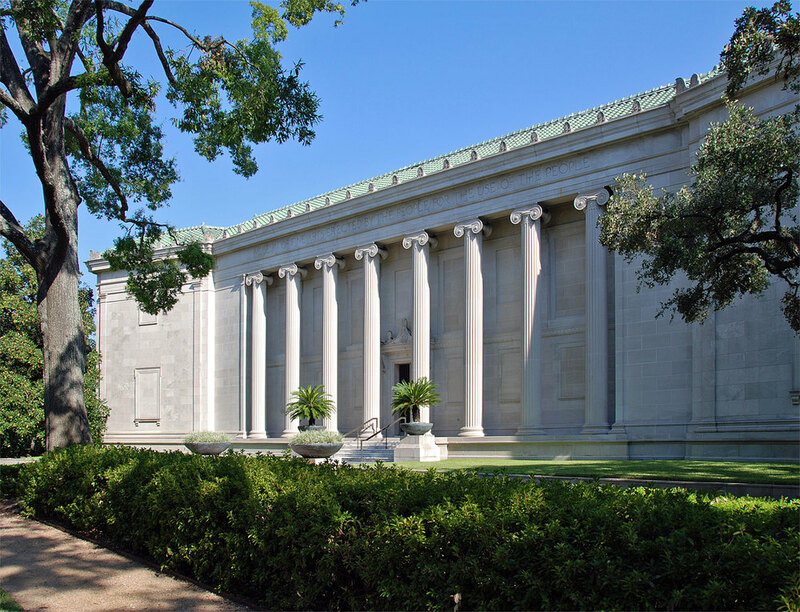 This tour explores the beautiful area between Main Street and Montrose Boulevard just north of the park, including the buildings of the Museum of Fine Arts, Houston; the charming neighborhoods of Chelsea Place, Cotswold Court and Colby Court; and the imposing churches of Main Street. Along the way, we'll see work from architects William Ward Watkin, Joseph Finger, MacKie & Kamrath and Carlos Jiménez. Home to the city market and City Hall from 1841 to 1939, Market Square became the center of Houston's early commercial district. Though the neighborhood declined in the mid-20th century, a series of preservation projects have brought new uses to its historic buildings. Among the tour highlights are the 1861 Kennedy Bakery (now La Carafe); the 300 block of Main Street, a largely intact row of late 19th century commercial buildings; and the imposing façades of Houston's early 20th century financial district. We'll discuss the methods and value of preservation versus demolition and explore Market Square itself, which was redesigned in 2010 as an urban park with several links to its storied past. This walking tour traces the evolution of the area while visiting historic sites including the former South End Junior High (later San Jacinto High School and now Houston Community College’s Central Campus) and prominent new developments such as MATCH, the Midtown Arts & Theater Center Houston. Along the way, we’ll learn how Midtown is transforming itself into a modern urban residential and cultural center. The Old Sixth Ward, one of Houston's most beloved historic neighborhoods, was settled in the mid-19th century. The principal developer was W.R. Baker, Houston mayor and president of the Houston & Texas Central Railroad, and many of the neighborhood's early residents were railroad workers who decorated their cottages with hand-cut Victorian ornamentation. Our tour traces the neighborhood's development and changes, from a working-class area to the city's first protected historic district. Stops include the former home of cosmetics queen Mary Kay Ash and famed boogie-woogie pianist Peck Kelley, the inspiration for the song "Beat Me, Daddy, Eight to the Bar." We also visit St. Joseph's Catholic Church, a neighborhood landmark that was rebuilt after the great storm of 1900. The campus of Rice University is one of the most beautiful spots in Houston thanks to the Mediterranean-influenced designs of Boston architects Cram & Ferguson, who were responsible for the university's earliest buildings. Our tour circles the campus, discussing the history of the university itself; the life story and murder of its founder, William Marsh Rice; and the development of Rice's signature architecture, which still influences building on the campus today and was the prototype for many structures along South Main Street. We end with a visit to John Outram's Duncan Hall, one of the most fascinating buildings in Houston. Settlement of the Third Ward began in the days following the Civil War as freed slaves moved from plantations into the city. In the days of racial segregation, the Third Ward developed as a self-contained area in which goods and services denied blacks in the white community were provided by black-owned businesses and institutions. Today, the Third Ward remains the cultural and educational heart of Houston's African-American community. Among the tour stops is Project Row Houses, a collection of restored shotgun houses that is now home to a nationally recognized public art project; the Eldorado Ballroom, a legendary jazz and blues venue; and Trinity United Methodist Church, the oldest African-American congregation in Houston, which was formed as a mission of First Methodist Church in 1848. Houston in its early years was a rough-and-tumble located on, as one tourist said, "the borders of civilization." But it was also the capital city of the new Republic of Texas and the center of activity in the young country, and the story of its founding and early boom years is fascinating. Though the city's earliest buildings have all been lost, this tour recreates 1830s Houston through stories of its structures and residents and first-hand accounts of life here. We'll visit the sites of the capitol of the Republic, the president's house and city market, and some lesser-known spots like the site of Houston's first theater and the Round Tent, one of its most popular (and rowdiest) saloons. The story of Turner Addition began in 1871 when Nathaniel P. Turner platted the neighborhood more than two miles outside the Houston city limit, apparently anticipating that the city's growth would soon fill the gap between his subdivision and civilization. As it turned out, development in Turner Addition didn't begin until the late 1910s, when an extension of Montrose Boulevard finally linked it with the rest of Houston. Today, the museum-area neighborhood contains a fascinating variety of 20th century residential architecture ranging from picturesque 1920s suburban homes to modern and postmodern townhouses from the 1970s and '80s. The tour traces the development of the neighborhood and includes work by prominent architects including William Ward Watkin, Alfred C. Finn, Howard Barnstone and Carlos Schoeppl. A walk along Main Street in downtown Houston is a walk through the city's business development and its changing architectural tastes. Our tour traces Main Street's role as the center of activity for much of Houston's history, visiting early businesses and skyscrapers, retail stores, banks and the sites of its movie palaces. Highlights include the 1929 Gulf Building (now the JPMorgan Chase & Co. Building); the former First City National Bank Building, Houston's first modernist skyscraper when it opened in 1960; and Alfred C. Finn's elegant 1951 building for Sakowitz department store. Glenwood Cemetery is known for its splendid Victorian monuments, but there’s a more modern side to the cemetery as well. This walking tour explores some of the newer sections of Glenwood and the lives of some of the well-known 20th century Houstonians buried there, including businessmen George and Herman Brown; cotton magnate and statesman Will Clayton; Edgar Odell Lovett, Rice University’s first president; Astrodome builder Roy Hofheinz; and longtime television anchor Ron Stone. "Houston's University" was founded in 1927 as a night school meeting in borrowed rooms, but it quickly grew into a four-year university and is now a major urban research institution. Our walk through the UH campus traces the university's history and the people who made the school what it is today, including oilman Hugh Roy Cullen, its great benefactor. We'll visit campus buildings designed by some of Houston's best-known architects, such as John Staub, MacKie & Kamrath and Alfred C. Finn, and explore part of the university's impressive collection of public art. The tour also includes little-known parts of UH's history, including stories about its extremely significant role in World War II. The University of St. Thomas broke with tradition when it hired Philip Johnson to design its new campus in 1956. And though Johnson took inspiration for his buildings at UST from the modern architecture of Mies van der Rohe, his campus plan was influenced by something much older: Thomas Jefferson's 1818 design for the University of Virginia. Our tour focuses on the development of the university's campus and the buildings of the adjacent Menil campus, which include Eugene Aubry's Rothko Chapel and Renzo Piano's Menil Collection and Twombly Gallery. We'll also visit Hughes House, the boyhood home of Howard Hughes Jr., and Johnson's Chapel of St. Basil at the University of St. Thomas, one of the most unique worship spaces in Houston. The Warehouse District grew up near two important modes of transportation in early Houston: the original Port of Houston at Allen's Landing and the hub of the many rail lines that served the city. Though the city's industrial base is long gone, many reminders of Victorian industry remain in the area, including historic warehouses and the Willow Street Pump Station, centerpiece of the city's first sewer system. Many of the neighborhood's buildings have been restored and put to new uses, from the pump station itself — now an exhibition and conference center — to industrial buildings that now house residential lofts. Our tour also includes a part of Frost Town, a settlement that predated Houston's founding. W.W. Baldwin developed Westmoreland Place in 1902 on what was then Houston's southwestern edge. The neighborhood was the city's first patterned after the "private place" neighborhoods of St. Louis: small, gated developments with a central boulevard along which the grandest homes were built. Though times have changed, much of Westmoreland's early 20th century character remains, giving us a fascinating look at the residential architecture of the time. Several Westmoreland homes were built from books of house patterns, a design approach that may seem unusual to us now but was quite popular in its time. We'll discuss those homes and many more as we look at what remains a lovely, viable neighborhood after more than a century. The William A. Wilson Realty Co. began developing Woodland Heights in 1907 on 136 acres of land that was once part of John Austin's Mexican land grant. The neighborhood was one of Houston's first "streetcar suburbs" — a streetcar line ran from downtown along Houston Avenue to just outside the Woodland Heights gates, enabling working-class Houstonians to live in a lovely wooded setting and easily commute to their jobs. Our tour covers several early 20th century architectural styles found in the neighborhood, including the foursquare, cottage and bungalow, and highlights the live oak trees Wilson planted in 1907, which have matured into lush canopies over Woodland Heights' streets.